A recent spike in criminal drive-offs from forecourts has prompted renewed interest in unmanned fuel stations. That’s according to METRO Security which provides technology that integrates CCTV and Automatic Number Plate Recognition (ANPR) for both kiosk-driven and ‘pay-at-the-pump’ service areas. The British Oil Security Syndicate (BOSS) Crime Index for 2017 recorded its biggest ever rise in non-payment since the benchmark was launched in 2015, with an escalation from 97 to 104 points compared to the previous quarter where the trend had been consistently down across a two-year period. 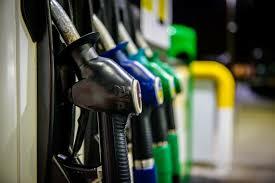 Based upon the philosophy that prevention is always better than cure, forecourt operators look set to forego additional kiosk sales in order to reduce fuel losses that are currently running at £30 million each year. Payment Watch is the industry’s successful initiative which allows forecourt operators to chase No Means of Payment customers to clear their debts without involving the police. Since it was introduced, police call-outs have reduced by almost 78%, while no less than 4,600 police hours have been saved. Building upon this, M.A.R.S (Metro Analytic Retail Solution) – which works with both manned and unmanned forecourts – also dents criminal profits and reduces the number of police call-outs to what many in the industry call the ‘crisis of bilking Britain’. 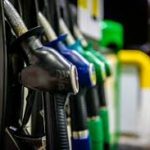 According to the Petrol Retailers’ Association, drive-offs have risen from £26 million to £31 million per annum in the last six years. There’s a persistent percentage of incidents where payment is never retrieved or offenders taken to task. An integrated technology that links the pumps to CCTV and ANPR, M.A.R.S can be activated remotely to provide vital, high-quality evidence and intelligence of both malicious and non-malicious customer and staff behaviours, all at the push of a button or the click of a mouse. In manned stations, remote monitoring based upon intelligence-led investigations post-event also prevents the potential for conflict with the forecourt retail staff. This is another key feature as violence against retail staff has doubled in the last 12 months. According to the British Retail Consortium, six workers in every 1,000 retail staff have been the subject of violence and aggression in the last 12 months. These figures are verified by the Association of Convenience Stores and USDAW, the Trade Union for shop staff. Trials have shown six-figure performance improvements with estate roll-outs of M.A.R.S. Introduced as a crime-reduction solution, it has also led to fuel company customers benefiting from efficiency savings due to the fact that refuelling times are reduced.